When you send your kids to school, you never imagine that you’ll be heading back to the classroom yourself. Your education days are behind you, aren’t they? Not necessarily. In reality, many moms head back into education during the years that their kids do. That’s because, finally, your life has become yours again. Your days are free, and you have the option of reentering the working world. The trouble is, of course, that you’ve been out of the loop for a while now. Your days have been a fog of nappies and kid’s television. You’ve never felt less prepared to enter a working environment. As such, you may opt to embark on lessons which get you back into a career mindset. Of course, the way you choose to study will be different depending on your situation. You may go back to school part-time, or you may feel like you want to study online for ease of time. Equally, the courses which interest you will vary. Some moms may want to embark on general business courses to get their heads back in the game. Others may want to aim higher, with something like a Masters in operations management in the hopes of a management position. Either way, studying again can be overwhelming. To start, the classroom environment will feel as alien to you as the idea of heading back to work. Which is why you need a trusty planner to see you through. You don’t need us to tell you how much help a well-organized planner can be. The chances are that you already use one at home for everything from your cleaning to your meals. And, we’re going to look at how you can apply that same level of organization with a section-by-section breakdown of the ideal study planner. Believe it or not, even just getting back into a schedule can be tricky. The chances are that you’re pretty out of practice when it comes to keeping time. Aside from appointments for your kiddies, you’ve not had to worry about this for a few years. So, make sure that you stay on top of your schedule by putting it right at the front of your planner. This ensures that it’s easy to reach for whenever you’re worried about time. It also ensures that you see your schedule first thing. Eventually, that can guarantee you’re on time, every time. Even if you’re studying online, a section like this can be useful. Knowing when your online classes go live, for instance, can ensure you get straight to work as soon as possible. That promptness could quickly see you top of the class and passing with flying colors. So, get your schedule printed. 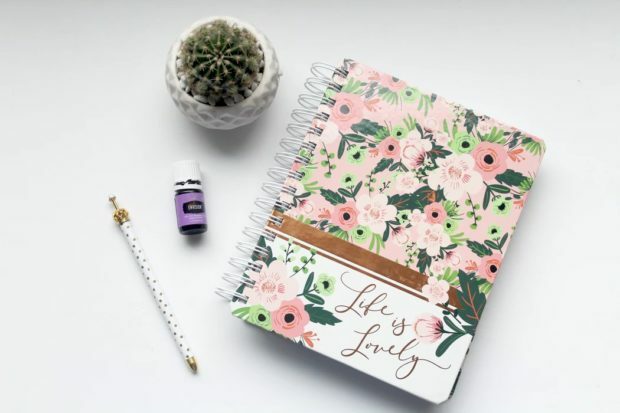 Make it look pretty with as much washi tape as your heart desires. Then, get into the habit of checking it often. Next, you need to dedicate a section to any short-term goals you need to achieve. When we’re studying, there are often plenty of short-term and simple deadlines to keep on top of. It may be that you need to read a certain amount of text or buy something for your course. You may even need to watch set programs or complete questionnaires for the next session. These are small things which are all too easy to forget about. But, there’s no risk of that when you put them right up front in your planner. Think of this as your study to-do list. Make an effort to check off one item each day. Then, you can make sure you’re never late with these small classroom additions which can make all the difference. Of course, it wouldn’t be a planner without a calendar of some kind. 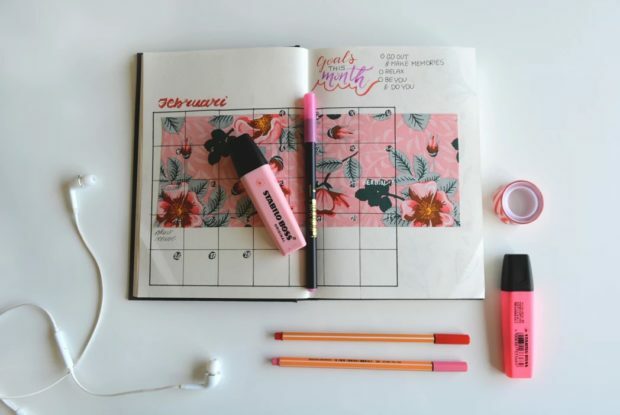 In this case, you want calendar pages which help you outline your longer project goals. While short-deadlines are easy enough to jot down and achieve, long study goals can take months at a time. Essay deadlines, for example, tend to be at least three months long. But, any student will tell you that leaving these things to the last minute is never a good idea. Instead, you want to break projects like these down into weekly chunks. That way, you can get away with a small amount of work each week, without a mad rush. Start, then, by heading straight to your deadline page, and writing a note on the hand in day. Highlight this with a bright colored tab. Then, head back from there, making a note of what you plan to do during each work in the interim. You may also want to highlight these with tabs, and remove them as you progress. If you have more than one project on the go, tabs could also help you distinguish between them. By the time the deadline rolls around, you’ll have a completed project which you’ve taken ample time and care over. All in a calm and organized manner. Of course, studying can’t all be about pushing yourself to the limit. Endless students have burnt themselves out in the past from pushing too hard. And, as a mother, you need to be especially wary of that risk. Your best bet for avoiding a breakdown here is to schedule time to take care of yourself and your family. That’s why the last section of your planner should focus around this. By using your calendar as a guideline, dedicate the back of your planner to plan for things like family days out, or meal nights. It may seem strange ‘putting these things in your diary,’ but it’s sometimes the only way to make sure you do them. And, that’s essential if you’re to stand any chance to de-stress and reconnect. If it helps, make a conscious effort to plan things like these at least once a month. Your mental well being and your studies will thank you for it.